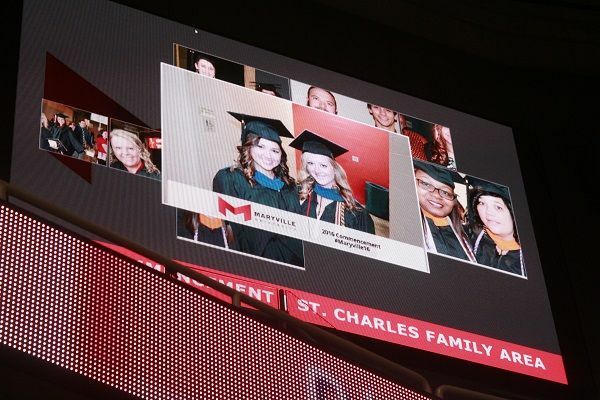 Few events are as memorable as a graduation, which is why St. Louis photo booth franchise owner, Tony Williams of TapSnap 1151, was invited to capture every moment at Maryville University’s Commencement Ceremony in the St. Charles Family Arena earlier this month. With TapSnap, the graduates’ loved ones had a unique glimpse behind the curtain before the procession. Using two Social Photographers, Tony and his team roamed the arena taking photos of the graduates and guests. 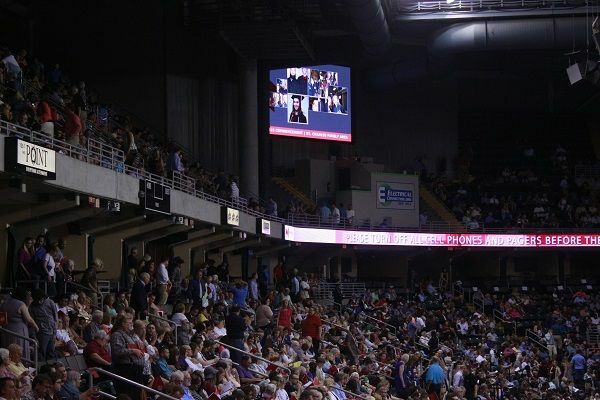 The photos were instantly added to a live SnapCast slideshow, which was displayed on screens around the arena. These photos were also instantly uploaded to a Facebook album. This was an excellent way to include parents and family members in such an important and memorable occasion! Tony and his team took photos for about an hour and a half, getting great shots of many of the 1300 smiling graduates in attendance. TapSnap’s instant social media uploads solved one of the biggest problems that most event planners have—getting photos onto Facebook immediately to create live engagement. Each photo showcased the University’s logo and unique event hashtag. “I would like to take a moment to express my appreciation to TapSnap for helping to make our 2016 Commencement ceremony extra special this year! 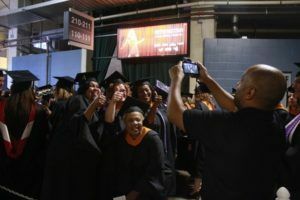 Photos were automatically uploaded to the large video boards in the arena, giving our guests a view of the festivities and fun taking place with their graduates, and giving us a much more exciting and engaging use for the screens. Additionally, the feature allowed our graduates to be able to see and share those pictures through the University’s Facebook page, even during the ceremony! Not only did this create some fun, lasting memories of their graduation from Maryville, but it also generated traffic to Maryville’s Facebook page. Working with TapSnap was very simple and quite effective; I am sure this will become a regular feature of our annual Commencement ceremony every May." 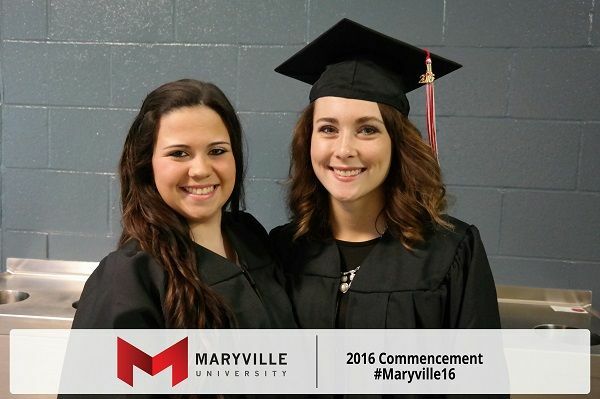 For more pictures, take a look at the Maryville University Commencement album, or check out the SnapCast slideshow of event photos, which is available until September 4th, 2016. If you have a graduation or another important occasion coming up, contact us to see how we can make your event memorable!